Predictable Color with Any Media With content published on so many different types of printed and digital media it's critical to know how your clients will see color. 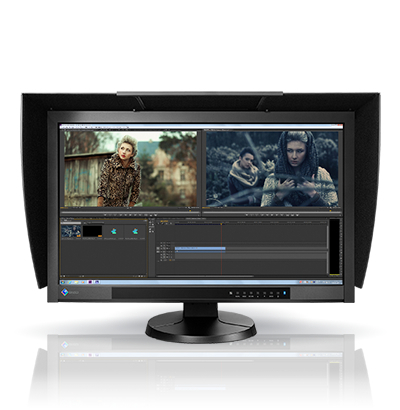 A ColorEdge monitor and the bundled ColorNavigator software let you do just that as they are designed for both softproofing and digital device emulation. So now you can "predict" how color will appear to your clients whether you produce content for printed media like books and magazines or for digital media devices like tablets, smart phones, and notebook computers.